I have been wearing glasses for a few years now, my eyesight is not exactly terrible but as I suffer from really irritating migraines with aura, its important to me that my eyes are not strained. I was well overdue an eye-test so decided to book one in with SelectSpecs. I was also given the opportunity to have an OCT eye scan (the most cutting edge scan in eye health) which was quite an experience. The initial eye-test was detailed but straight-forward. After the Pre-Screening, I was asked by the wonderfully friendly optician to read out certain lines of letters and text, I was then asked to tell the optician if certain lenses were better or worse. Shortly after a comprehensive but hassle-free examination of my eyes, I was told that my eyesight was pretty good however I had a slight astigmatism. Astigmatism is a reasonably common condition that means the cornea or lens is not a perfectly round shape but instead bears more resemblance to a rugby ball shape. The result of this is that the eyes become more strained and tire easily. The next part of my eye-test was the Optical Coherence Tomography or OCT scan. 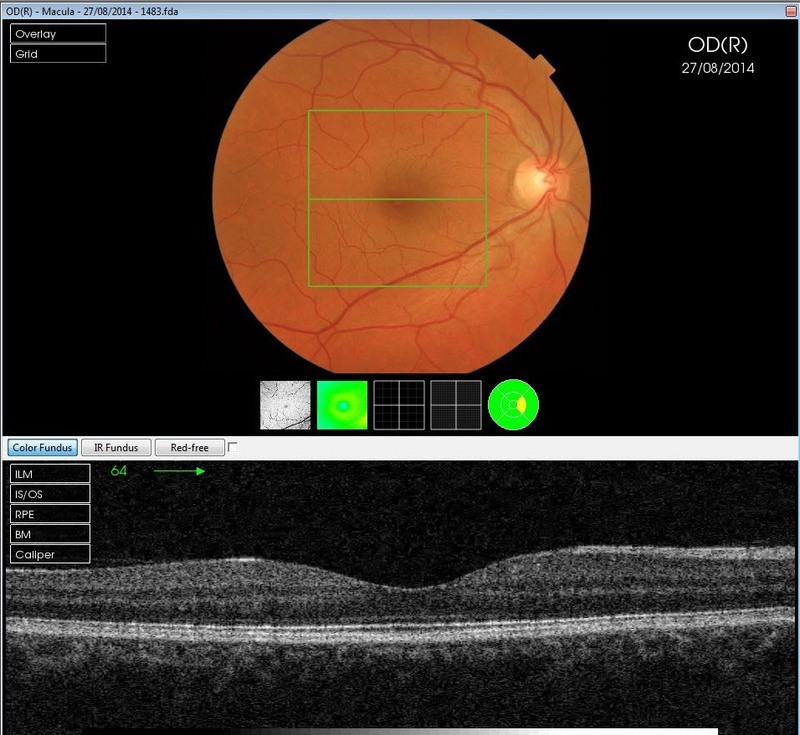 This latest piece of technology allows the optician to take an image of the inside of eye using light (similar to an ultrasound), it is able to capture the layers inside the eye in order to detect any early signs of medical conditions such as Glaucoma, which if left undetected can result in blindness. After staring at a red cross through a little machine, images of the back of my eyes were shown. I found the experience absolutely fascinating, the optician described all the different vessels and parts of my eye that could possible show up medical conditions through the OCT scan. Fortunately I had no signs of any eye condition, but the experience was highly intriguing. A short video was played back of a vessel moving about in my eye, this was taken during the OCT and it was slightly freaky but also fascinating to watch. Here is one of the images from my OCT scan. The green areas show that my eye is healthy. The grey fuzzy image at the bottom is a cross-section of the back of my eye showing all the layers of my eye in 3D. The optician can pan around the image to view different parts of the cross-section to look for any problems that a normal eye test cannot possibly show. You can clearly see the contours and dips that make up the back of my eye in the 3D image. When I return for another OCT eye test in the future my optician will have a clear record of the history of my eye and will be able to compare my results to easily reveal any problems or changes with my eyes. The overall results of my eye-test and OCT scan showed that I mainly needed glasses for long-distance seeing and also to prevent straining of my eyes (terrible migraines and tired eyes…not good). Although I had a light prescription I was super excited to pick out a pair of stylish glasses. 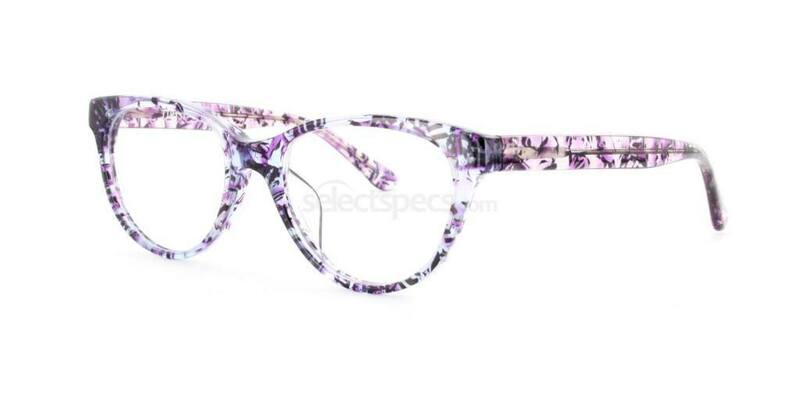 After a quick look around the store, my eyes gazed towards a bright purple pair of patterned wayfarers. I immediately made my decision and chose these gorgeous frames. Here I am sporting my fab new glasses from SelectSpecs, to get your pair for just £29.50 including lens coatings, click here now! If you haven’t already booked an eye-test or an OCT scan and live in the Kent area, I highly recommend it, the experience I had at SelectSpecs was fantastic and I was intrigued at how much I discovered about eye-health during my visit. Although my eyesight may not be perfect, I got an amazing pair of fashion forward glasses that not only help me see but also help me jazz up my outfits! 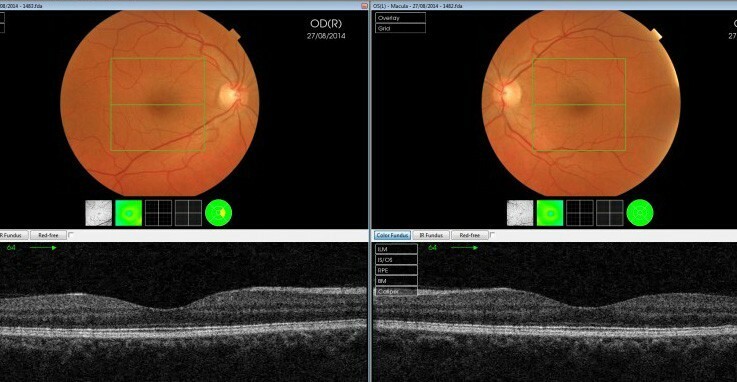 To find out more about OCT – Optical Coherence Tomography and the full features and benefits of this advanced eye test click here where you can also find a video. You can book an appointment online here, or call 0844 4533262. 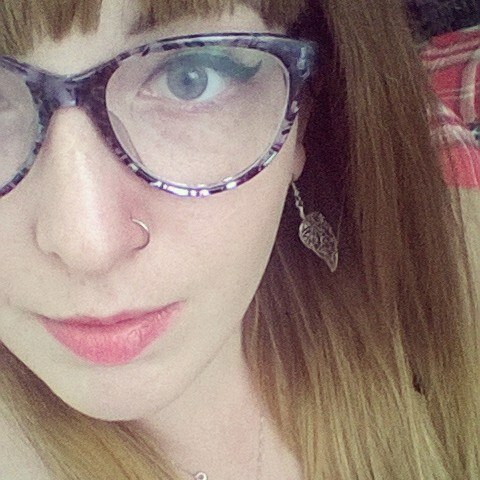 Keeping your glasses clean – How to and Tips!